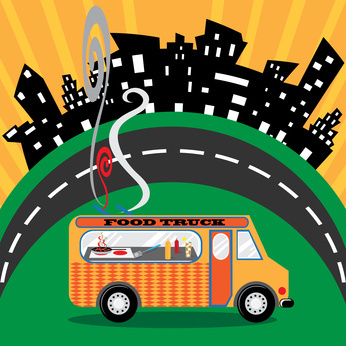 The food truck business is growing rapidly and part of that growth is due to social media. Since broadcasting the up-to-the-minute location of a food truck is so important for generating business, Twitter has provided the ideal means for food truck drivers to let patrons know of their truck’s location in real time. As with many industries, the default approach to using social media is to provide multiple users with the same set of credentials for a Twitter or Facebook account. Along with this come the potential security and PR issues associated with sharing one set of credentials among multiple users. Food truck fleets can use MediaFunnel to ensure that Twitter credentials are not shared — yet all drivers can easily post their current location to a common Twitter profile. With MediaFunnel, food truck drivers do not even have to have a smart phone to Tweet or post their current location. A driver can simply compose a quick text message to a designated number and their text message will be funneled into a single Twitter profile or Facebook Page. With MediaFunnel’s editorial review option, drivers’ texts can even be screened if necessary before they are published. To try out MediaFunnel, please sign up for a 30 day trial. SMS credits are available at a minimal cost.